The headline features of the Transformation: Courts and Tribunals 2022 programme have been about major changes to the ways in which courts and tribunals work: on-line courts, digitization of process, investment in IT and so on. But in parallel with these major changes, other more technical changes are being contemplated which it is hoped will improve the efficiency of the work of courts and tribunals. 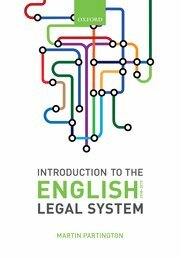 The recently announced (26 September 2018) consultation paper Employment Law Hearing Structures is an example of how the government is seeking to take this opportunity to make some technical changes to the ways in which courts and tribunals dealing with employment and discrimination cases interact. Employment Tribunals have no power to make an order to enforce a decision that it has made. These and other rules mean that there can be circumstances in which cases have to go to courts that might be better dealt with by the tribunal, and vice versa. The detail of the proposals in the Consultation Paper are not considered here, though of great importance to specialist employment lawyers and other interested in employment matters. But the existence of the consultation is flagged here to indicate yet more ways in which the detailed work of courts and tribunals is likely to be amended under the general banner of the Transformation programme. The Consultation runs till January 2019. Final recommendations will be published in 2019. The Consultation Paper, Transforming our Justice System also has important proposals to make about the tribunals system, though – because the creation of the Tribunals Service in 2007 has already led to considerable structural change – changes to tribunals will be less marked than to the the criminal and civil justice systems. will be faster and easier to use for people that use it. welcome views on how best to achieve this. justice system could be applied to the employment jurisdiction.